thanks, the windows are almost done, broke the last one while installing it, but I got a new one build last night so I should be finished with the windows tonight and ready to move on to the doors. I am still not sure how I am going to make working doors, I don't think I will be able to build scale working door hinges so I may have to make some hidden hinges. I want the doors to open and close for photo reasons. 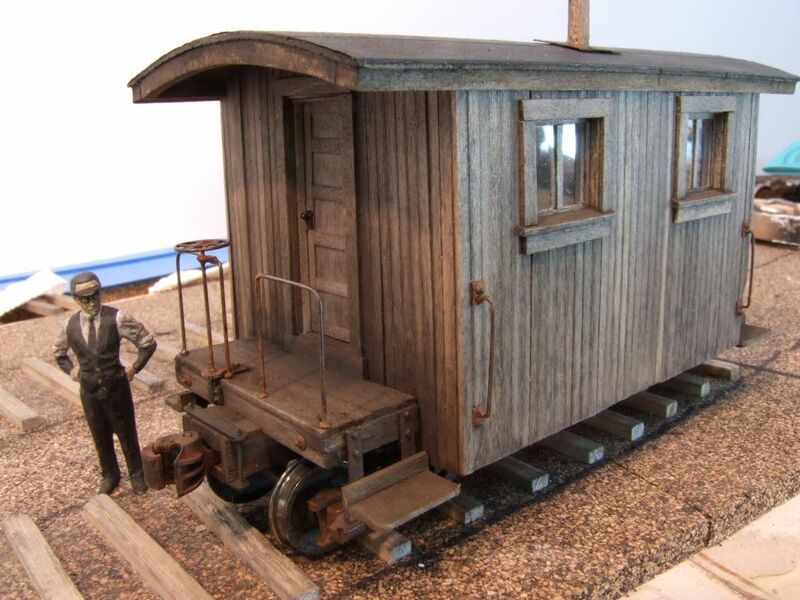 Great work on the caboose, Jeff. Your window work is very impressive. 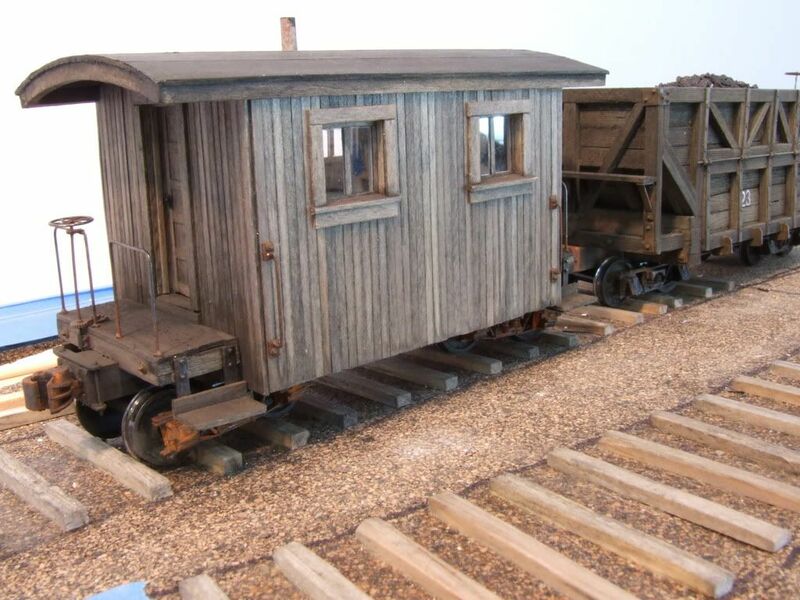 I got a little off track with the caboose (no pun), I ended up going ice fishing last weekend so progress slowed down, then I got side tracked (that one was a pun) and did some plaster work around the dump trestle so I can start building the trestle bents and the bin built. I got the windows finished on the caboose and I finished the doors. It took a few attempts to get the doors to open and close but I am glad I stuck it out and got them to work. 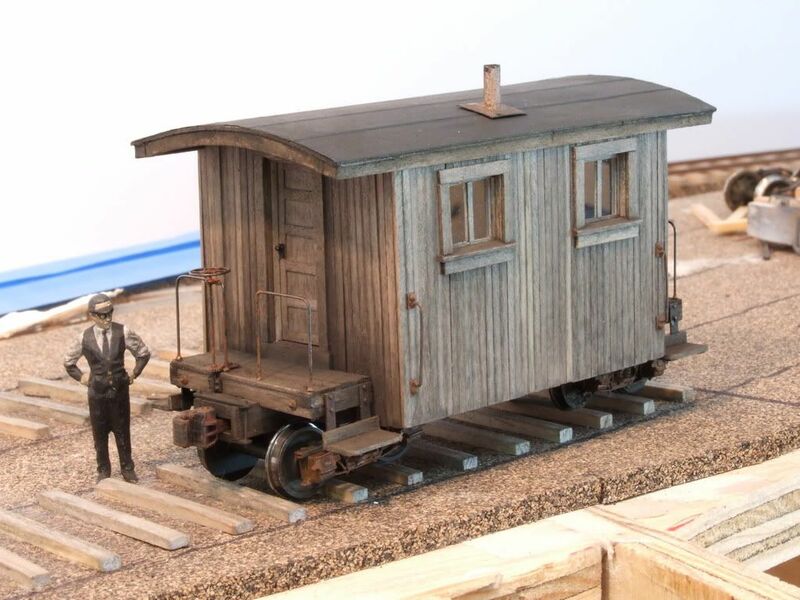 The rest of the work on the caboose should go much faster and I hope that the basic caboose will be finished next weekend. Ooooo, scenery bits. Love the way it drops away from the viewer, going to be a great scene. 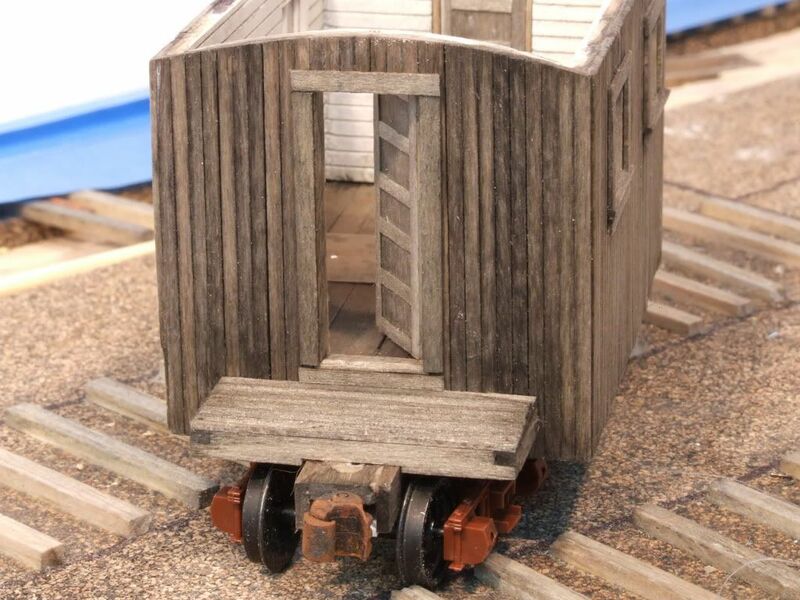 Very impressive progress on the caboose, one fine looking beast that is! I'm more and more a fan of these non-academic scenic places, where one forgets for a while the ubiquitous 'low-foreground/high-background' to provide some unexpected perspective. The craftsmanship never ceases to impress me! Can't wait for the next update. The caboose is done enough for now. I still want to detail the interior but I finished the outside so it looks finished and it is time to move on back to the layout work, at least now my trains can run with a caboose. At first when I started this project I thought this caboose was just a simple box with no detail and I was not that excited about building it, but this last week I have spent building detail parts and I have to say that it ended up being a very fun project with just enough details that if one examines it up close they will see it is not just a boring box on wheels. Next up is building the coal dump trestle. 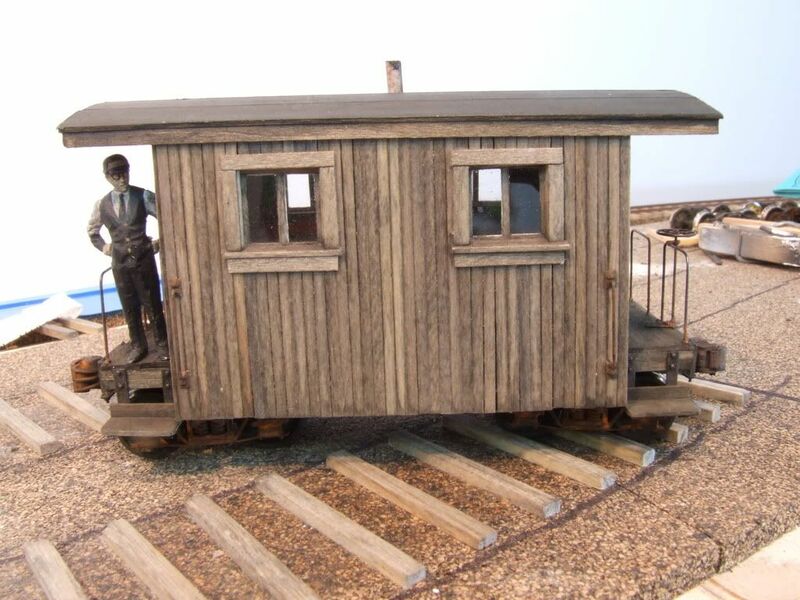 The caboose is lovely, Jeff. Good job Jeff! I especially like the job you did on the windows. AMAZING Jeff!! The Caboose looks awesome. Can't wait to see the dump trestle!!! Keep up the good work. How cool is that. 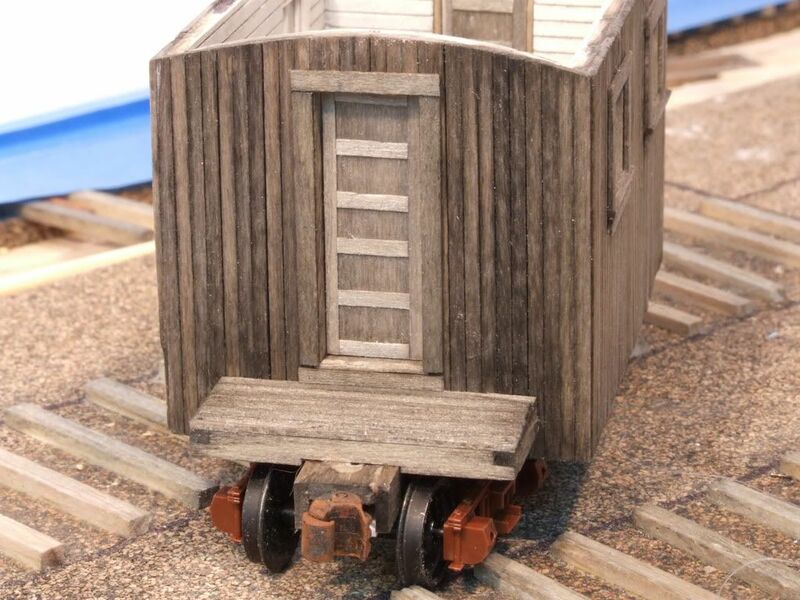 That little caboose looks right at home behind your hoppers, can't wait to see a whole train of your scratchbuilds! The caboose looks great. How did you treat the plastic trucks? Will the coal dumped at the trestle from the Slater Creek Ry actually fill C&O hoppers? no, I don't have enough space to model the sizing plant, I will just have the chute from the dump shed run into the back drop and have to use some trees to hide that I don't model the plant, I may do the back wall of a plant just to show something. 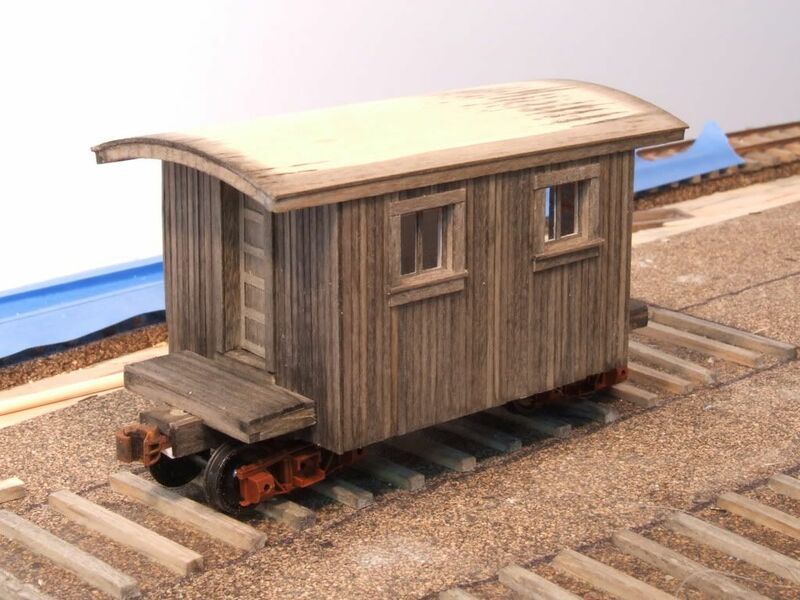 My dump shed design will be inspired by the Mann's Creek design but will not be exactly the same so can use some tricks to hide it a bit, the MC shed and sizing plant did not have trees by it but I will have to so it works out for me. If I ever move and expand on this layout I would like this section to be expanded to have the standard gauge area built but the layout will have to be very wide and should be built more in the middle of the room with access to both sides. Just an update to the layout, I have been trying to paint the backdrop with tree covered mountains, and since I am not a painter I have been struggling trying to get it good enough for me. Also, the backdrop is almost 4 feet high at the dump shed and it is 13 feet long, which for me (at the speed I paint) is taking forever. I have spent all night painting a small area only to not like it and repaint it the next day. 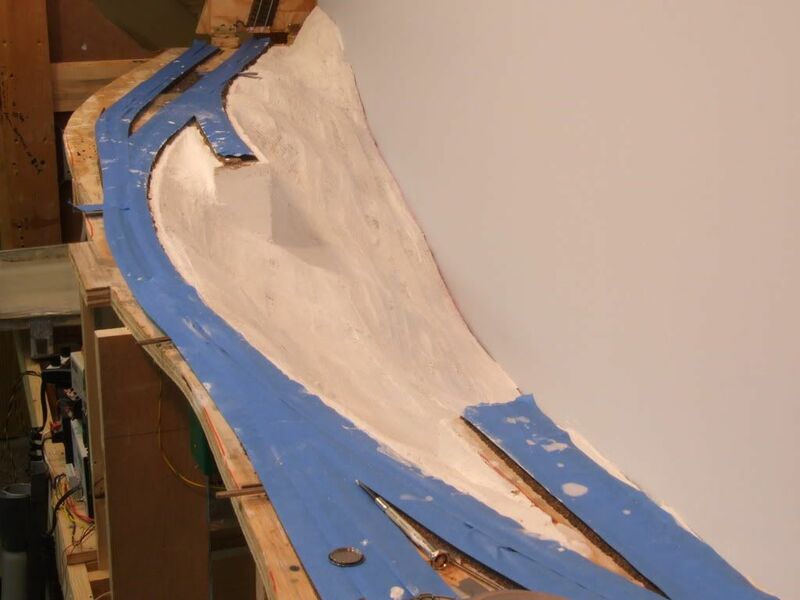 I envy guys like Kirk that could paint the entire area in one night and it would turn out exactly the way he wanted it first try. My guess is that I have a few weeks of backdrop painting before I can start building the dump shed. I have been purchasing supplies for scenery building and with spring on the way I should be able to get out and get some natural materials soon. I hope a month from now to be able to post some dramatic advancements to the layout. I work on it almost every day so there is stuff getting done.